who passed away last night, at the age of 82 years old. 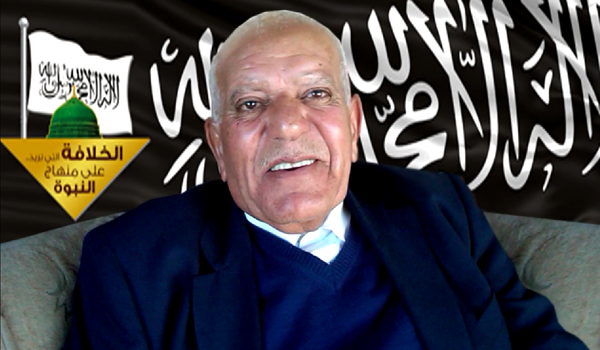 He spent more than 60 years of his life in the ranks of Hizb ut Tahrir; he came to know about Hizb ut Tahrir since the beginning of its establishment in the city of Tulkarem, in the year 1953, and joined its ranks in the year 1956, which he spent in the obedience of Allah Subhanahu Wa Ta’ala, carrying the Dawah, and working to resume the Islamic way of life through the implementation of the Khilafah State (Caliphate) on the method of the Prophethood. We ask Allah, the Supreme, the Exalted, to show wide mercy towards him, to cause his entrance to be wide, be generous to him and make his abode the blissful gardens of Jannah with the Prophets, the Truthful Ones, the Martyrs, the Righteous and the best of their company. We also ask Allah Subhanahu wa Ta’ala to inspire us and his family with patience and solace, and to increase their reward.